Call your Delegates and Junior Counselors (JCs)! Find out if they need help with sleeping bags or warm clothing to attend RYLA, if they know when and where to meet the bus, and if they have a ride to get there. Ask club members if they can loan needed supplies. Participants will receive a RYLA hoodie, but are encouraged to bring a warm winter jacket, hat and gloves to wear while outside, as outdoor activities are scheduled for each day. Call Barbara Harrison IMMEDIATELY (bjsharrison@comcast.net / 520.250.3437) if any of your Delegates or JCs are unable to attend so she can invite the next person on the waiting list. Editor’s note- Rotary Club of Marana will be providing a quarterly Shelterbox update to our district via the newsletter. Do you know who the Rotary International Project Partner for Disasters is? ShelterBox! 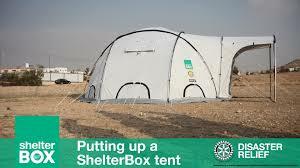 In 2012, ShelterBox became Rotary International’s first Project Partner and remains the only disaster relief charity with a Memorandum of Understanding with Rotary International. This agreement enables both organizations to collaborate more closely to bring relief and temporary shelter to survivors of disasters worldwide. One of the first groups contact as we enter a disaster-stricken country is the local Rotary club. We look to them for direction and guidance on who needs help, how to navigate the systems in their country and for manpower to help deliver aid. The first set of boxes arrived in response to the 2001 Gujarat earthquake. From there, ShelterBox grew until the Tsunami in 2014 where over 230,000 people died. The Haiti Earthquake continues to be one of our biggest responses to date with ShelterBox deploying over 28,000 tents for families around the capital Port au Prince. District 5500 continues to be a strong supporter of this international life-saving work, helping over 1 million people in over 100 countries since 2000. Contact Don Jorgensen, Rotary Club of Marana ShelterBox Ambassador, District 550 at donjorgensen@comcast.net for club presentations. The Valle Verde Rotary Club in partnership with the Green Valley Pecan Company presents the 10th annual Jazz in the Desert Anniversary Celebration. 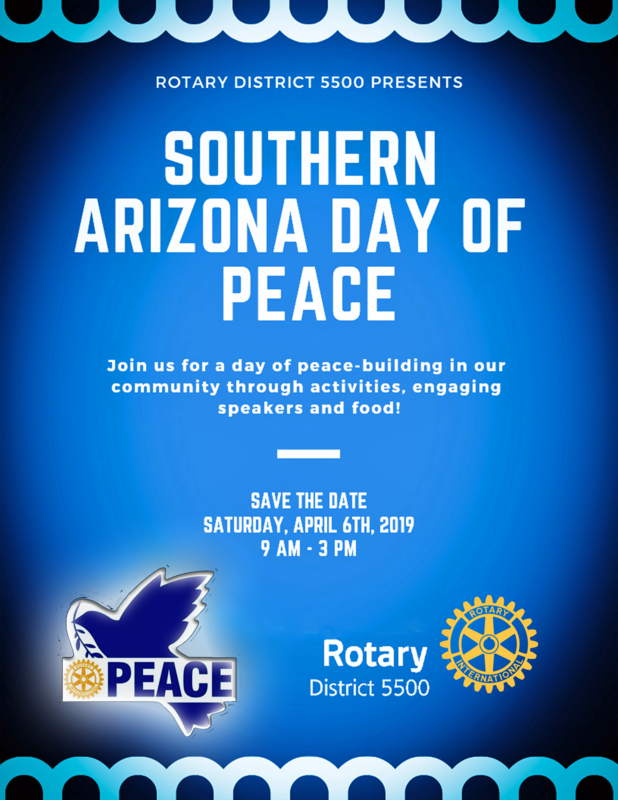 Join us on 2 March 2019 at 1 p.m. and 5 p.m. for food, drinks, silent auction and raffles. The venue is Quail Creek Country Club, 2055 E. Quail Crossing Blvd., Green Valley, AZ. Music to be provided by jazz ensembles from local high schools. Admission is $10 for music-only matinee and $40 for the dinner show. Space is limited. To reserve tickets, call 520-271-4831 or email chargates1012@gmail.com. The Marana Club reports that the family the club adopted for Christmas received their gifts and all the fixings for a wonderful Christmas meal. The family consisted of a mother and 4 daughters. The mother cuts hair in Chandler and lives in Marana, near the Glider Port. She was moved to tears as club members transferred food and gifts to her. She spoke of how our club helped her family have a holiday they did not expect. Lots of hugs were exchanged before she drove off with a feeling that a Rotary Club of which she has never heard cared enough to give her family the gift of feeling cared about. The Johnny Cash End Polio concert on November 21 raised close to $18,000 at the Gaslight Music Hall in Oro Valley. One anonymous, non-Rotarian donor contributed $5000! 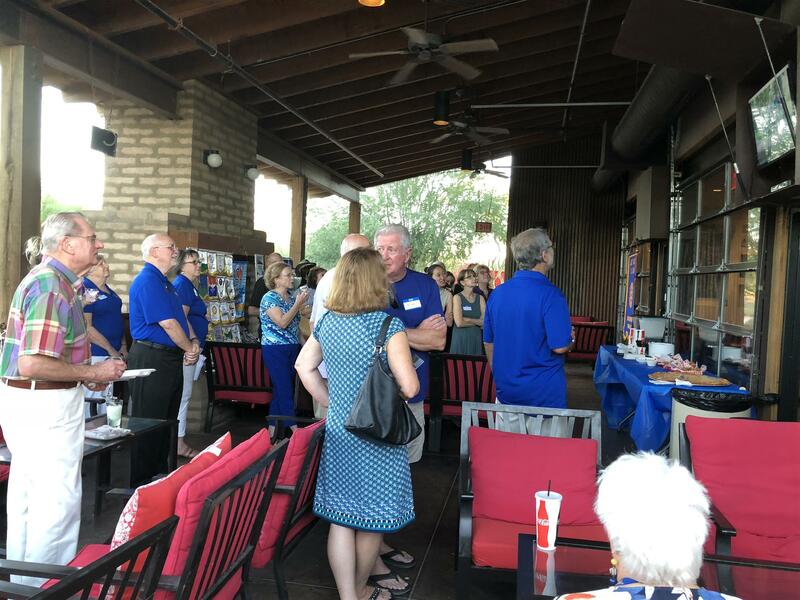 Congratulations to the Rotary Club of Marana Dove Mountain. The small club of 10 members added five new members in one day. How did they do it? All five new members decided to become Rotarians thanks to a well-planned social event that attracted several dozen non-Rotarian community residents. The club is available to share the details, as well as more than 20 additional best practices for growing club membership. Contact Membership Chair Sandy Wahl, sandrawahlaz@yahoo.com to schedule a 90-minute membership seminar given at the requesting club’s location. Looking for a roommate? Dove Mountain Rotarian Aleta Wiener would like to share a cabin. ‭(520) 429-8642‬. Start with a 10-second elevator speech: “In Rotary, we DREAM BIG, HAVE FUN, and GET STUFF DONE. Invite them to get a taste of Rotary by attending a regular meeting or special Rotary event. Make sure that the meeting or event is inspiring and fun! The Rotary Leadership Institute (RLI) is a training program established to improve the Rotary knowledge and leadership skills of the future leaders of Rotary Clubs. RLI is a great place to start for a new Rotarian looking to find their niche in the world of Rotary. The exchange of ideas with other experienced Rotarians alone makes the courses worthwhile. The Rotary Leadership Institute training program consists of three full-day sessions, followed by graduate seminars. Our next District 5500 program will be Saturday, January 26. 2019 at the Viscount Suites in Tucson. Sessions 1, 2 and 3 will be offered at that time. Rotary Club leadership changes on a yearly basis, so there is a constant need for new leaders who are knowledgeable about the world of Rotary International. It is difficult at the Club level to learn enough about the exciting world of Rotary. Furthermore, leadership skills in a voluntary organization are quite different from business or military leadership skills. Cost is still only $65.00 and includes a continental breakfast and lunch. Most clubs budget RLI costs to cover members attending. DGND Hank Huisking has written a great piece on how to grow as a leader. A new Global Grant to improve healthcare among indigenous communities in Sonora has been approved and totally funded by Rotary International! The club will be celebrating the inauguration of this grant in Alamos, Sonora, Mexico the weekend of February 1-3, 2019. First, some information about the need and the way this grant has come together over the past year. In January 2018, Rotarians from Catalina, Sunset, Tucson, and Peoria North Rotary Clubs journeyed to Alamos, Mexico with the purpose of meeting the targeted population. This also gave the Arizona Rotarians a chance to interact with the medical professionals who will work to help make it happen. The club’s World Community Service Chair of the International Partner (Catalina Rotary) stayed for 4 additional weeks to flesh out the grant details with local partners. The Mexican partner, Navojoa R.C., pledged more than 20% of the funds. That’s a wonderful vote of confidence from Rotarians who understand the problem and want to be part of the solution. Fort Yuma's 2018 playground project at H. L. Suvercrup Elementary School was a success. 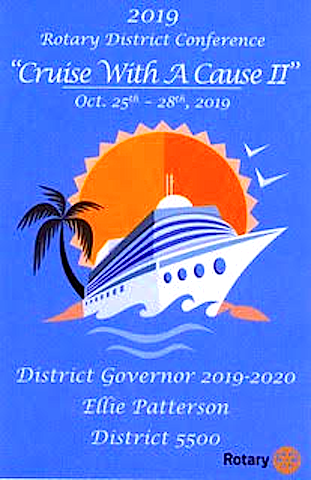 The project was accomplished with the help of a District 5500 grant under the direction of project chair Mike Landin and Fort Yuma President Minda Davy. Our projects are usually scheduled for three days, but this year an unusual rainstorm came through before the project started so we got a late start. With over 50 volunteers laboring over two long and muddy days, we managed to have the playground finished. Fort Yuma Rotary members, along with family and Interact members, did most of the work, which included mixing and pouring approximately 150 bags of concrete, erecting the structure and hauling and spreading the gravel. We also installed shades for when students are waiting for their buses. Another part of this project includes painting a huge map of the United States, which will be completed in the spring.